Your garden is perfect, has all the elements you want: the plants and flowers you love to see, perhaps an area to sit in or walk around. But it’s never quite at its best, because you simply don’t have the time - or perhaps you’re not physically able - to mow the lawn or keep on top of those weeds. Advantage’s flexible packages of garden maintenance offer weekly, fortnightly or monthly visits, or perhaps a one-off visit, to make sure your garden is never a chore and is always a place to enjoy. 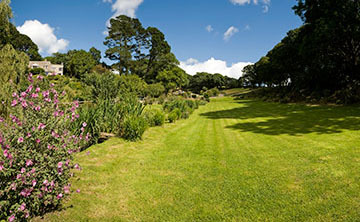 We can simply mow and edge the lawn – or take on any of the other regular tasks including strimming, weeding borders, pruning hedges and shrubs – in fact all of the dozens of jobs which keep your garden in shape. 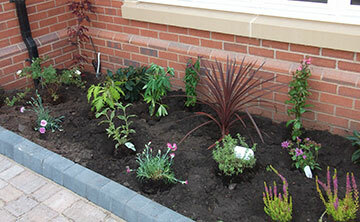 Advantage works with the seasons too - planting out any new shrubs and flowers that you’ve bought, arranging your summer bedding plants in tubs and hanging baskets, and in the autumn, brushing up leaves and planting spring bulbs to ensure your garden will be full of vibrant colour, even after a harsh British winter.